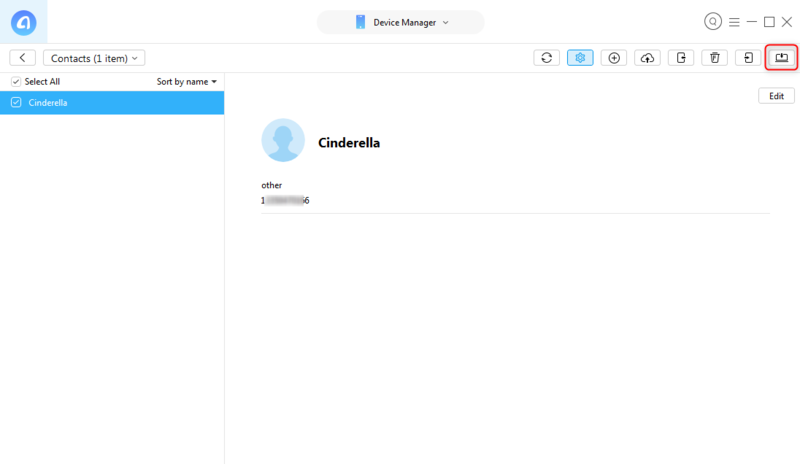 If you want to backup iPhone contacts to iCloud, iTunes or computer, but don’t know how to make it, you can follow this post to get 3 methods. Have a try on AnyTrans for iOS to quickly backup your iPhone contacts, pictures, music and other types of files to computer. Supports iOS 12/11/10. It’s vital to keep a habit of backing up data on iPhone to avoid losing momentous information, especially the contacts. Performing this task keeps your contacts safe even if you get your iPhone broken, lost, or stolen. So here comes the question, how to backup contacts on iPhone XS/XR/X/8/7/6s? 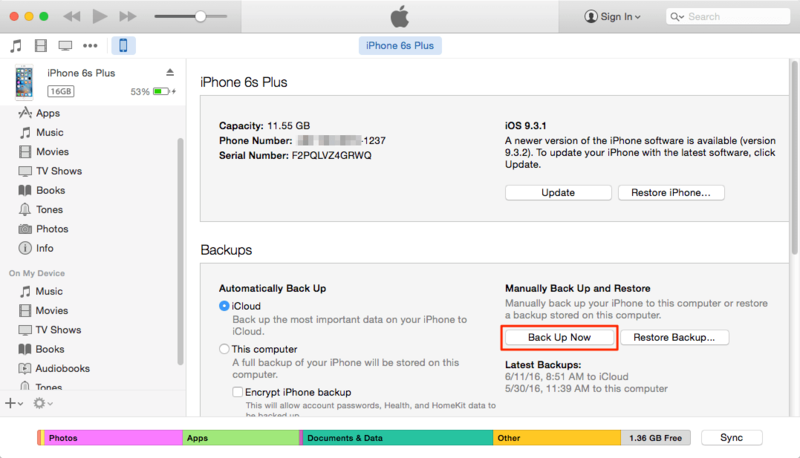 When it comes to backing up iPhone contacts, people tend to use iTunes or iCloud. Actually, there is also another easy & safe solution for you: backup iPhone contacts with an iTunes alternative. This guide prepares you 3 ways to back up contacts on iPhone, including iTunes, iCloud and a third-party software. 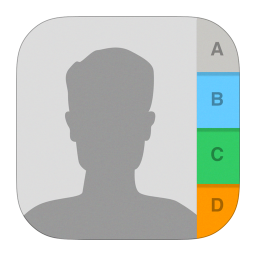 Now read this post to backup contacts on your iPhone. This method will back up all the contents of your iPhone to computer, and you can’t get contacts from the iTunes backup unless you plan to restore your iPhone with this backup (during restoring, all the existing data on your iPhone will be replaced by the content in backup). Therefore, if you just only want to back up contacts, or get backed up contacts back to your iPhone at any time, you can move to Option 3. Run iTunes on your computer (PC or Mac) > Connect your iPhone to the computer > Click the Device tab > Click Back Up Now under Summary to backup your iPhone data and settings to computer. 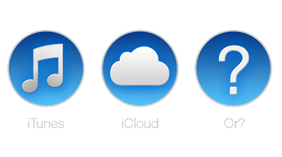 When it comes to backing up iPhone contacts with iCloud, you have two choices. One is creating a full backup of your iPhone with iCloud, and the other is syncing only iPhone contacts to iCloud server. The two methods we will show you detailed steps. This method will back up all your iPhone contents to iCloud. And the only way for you to get backed up contacts to iPhone is by restoring your device with this iCloud backup, during this process, the contents in backup will replace the existing data and files on your iPhone. If you just want to back up only contacts, you can move to Option 3 to make it. On your iPhone, go to Settings > Tap on your Apple ID’s part > Select iCloud > Select iCloud Backup > Tap on it to turn it on if it is closed > Click Back Up Now. 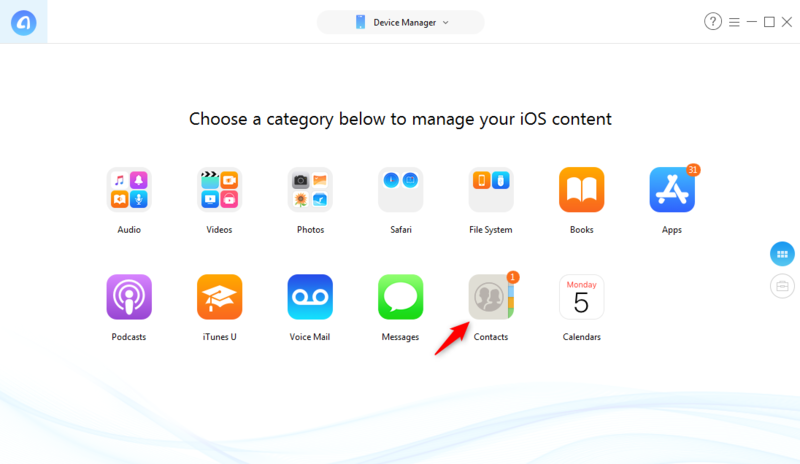 Then your contacts on iPhone will be backed up to iCloud server as well as other iPhone content. Syncing iPhone contacts to iCloud, this means all your iPhone contacts will be backed up to iCloud server, and all the contacts on your different devices logged in same Apple ID will be merged in iCloud, and synced to all your iDevice. In other words, all the iPhone contacts you backed up will be synced to your other Apple devices logged in the same Apple ID with your iPhone. At the same time, the contacts on other iDevices will also come to your iPhone. Therefore, if you want to keep your contacts independent, and don’t merge with other iDevices’, you need to log in a different Apple ID on your iPhone, or move to Option 3 to backup only contacts on iPhone. Go to Settings > Click on your Apple ID’s part > Select iCloud > Tap on Contacts to turn it on > Click Merge when it asks “what would you like to do with existing local contacts on your iPhone”. Then wait for your iPhone contacts backed up to iCloud. 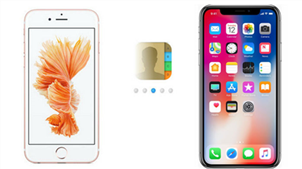 Backing up contacts on iPhone to iTunes or iCloud sounds great, but you are not allowed to view your contacts in the backup files unless you restore your iPhone with the whole backup, and you cannot backup only contacts on iPhone. 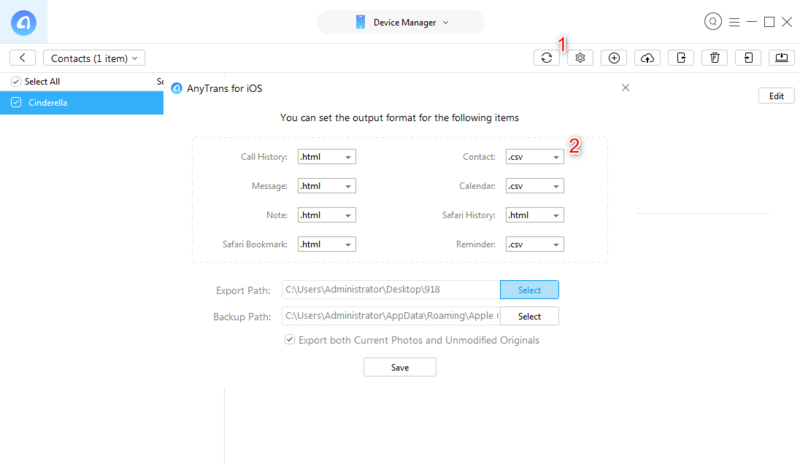 Therefore, in this guide, we will introduce you a third option to back up iPhone contacts with a powerful iOS data management tool – AnyTrans for iOS, which allows you to selectively back up iPhone contacts to computer in readable formats without iTunes. With AnyTrans for iOS you can quickly extract contacts from iPhone to computer without iTunes, and save them as readable and printable format (CSV and VCF). It supports almost all iPhone models, including the latest iPhone XR/XS (Max) and popular iPhone X/8, iPhone 7. 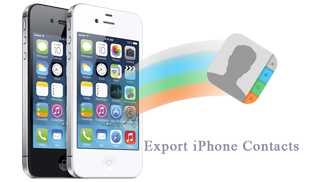 Now follow the steps below to quickly backup contacts on iPhone without iTunes. Step 1. Download AnyTrans for iOS and run it. Connect your iPhone to computer. Go to Device Manager, scroll down to choose Contacts. Step 2. You can tap the Settings button to set up the exporting format of your iPhone contacts when backing up them to computer. AnyTrans for iOS supports exports iPhone contacts to computer in VCF and CSV format. Step 3. Choose contacts you want to back up and click the Send to PC/Mac button to export iPhone contacts to computer for backup. 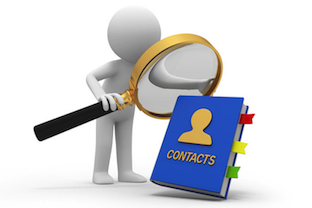 If you are working with a Mac computer, you also can backup iPhone contacts to Mac’s Contacts App directly. That’s what AnyTrans for iOS does to backup contacts on iPhone without iTunes. This tutorial also can be applied to backing up contacts on iPad/iPod touch. Additionally, besides backing up contacts, it also supports another 20 types of iOS data and files, including Photos, Videos, Music, Messages, Notes, etc. Similar to backing up your iPhone contacts, the disk backup for your important data protection is also worth your close attention, especially if you are using a Windows PC. Consider free AOMEI Backupper to create system image so as to make solid backups on your disk drive and data. If you found this guide helps you a lot, please don’t forget to share it with more people. Any problems about how to backup contacts on iPhone without iTunes, you can feel free to share it in the Comments Section below.